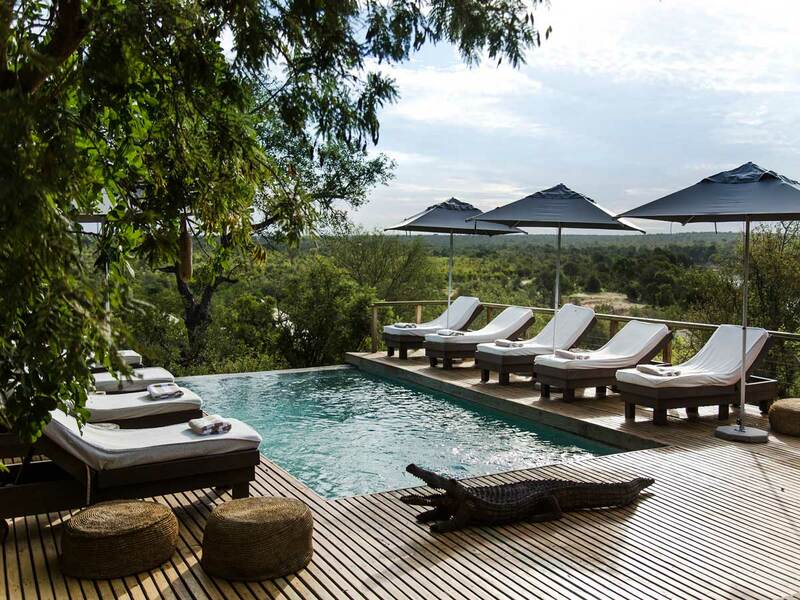 Simbavati Hilltop Lodge is situated on a beautiful 'koppie' giving guests a wonderful vantage point to view the bush, the Nhlaralumi River and the distant Drakensberg Mountains. 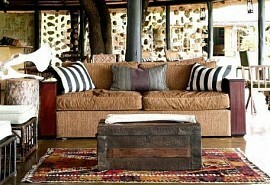 The accommodation is first class and captures the pure African safari spirit. 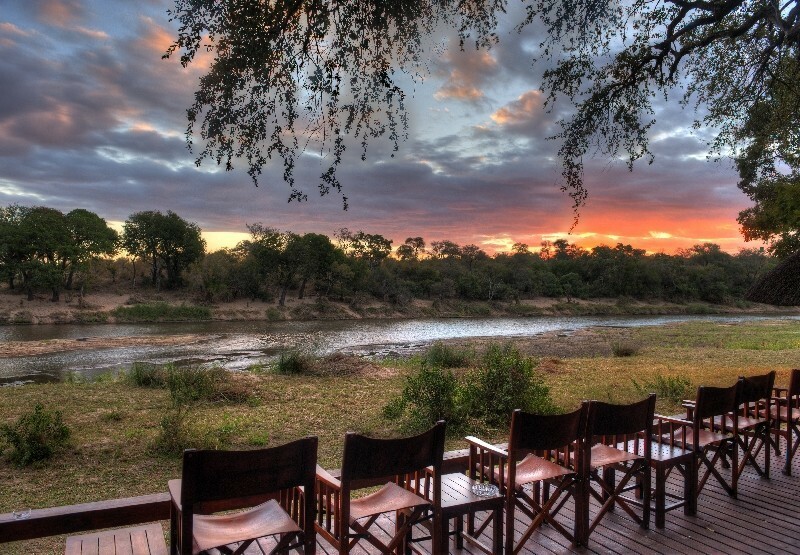 Situated deep in the Timbavati Game Reserve, Simbavati offers a wonderful Big 5 Safari experience. 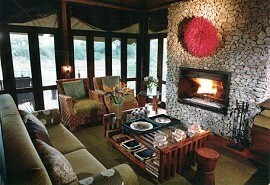 The lodge's main areas are beautifully decorated to maximse the outstanding views. 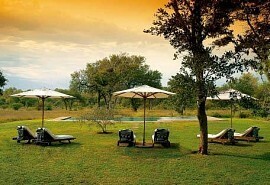 The rim flow pool and sun loungers made for a perfect relaxation spot. 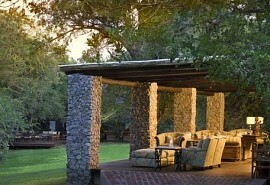 The lodge consists of individual pavilion-style luxury tents. 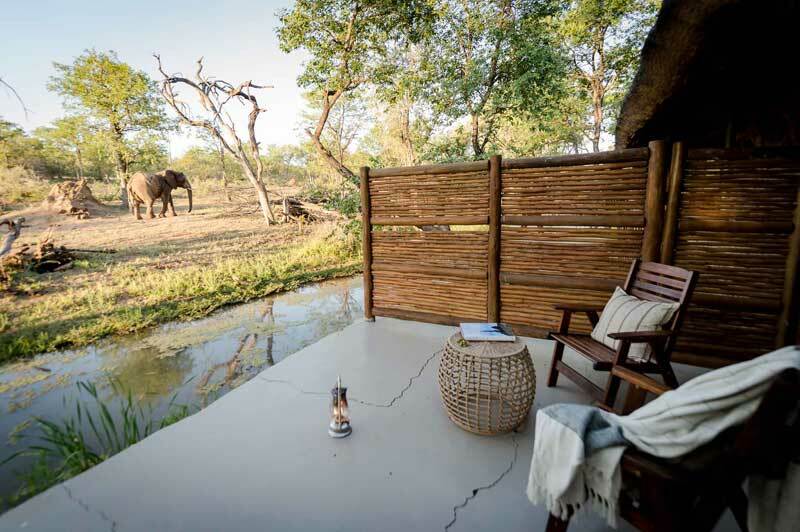 Each suite comprises two individual tents; one for the main bedroom, and a separate bathroom, which is linked by a passage that can be opened up on one side. This allows for an indoor or private outdoor shower experience. 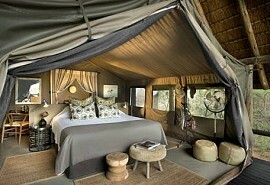 Guest privacy is guaranteed because of the careful placement of the large tents. One can be assured of a peaceful and intimate stay. 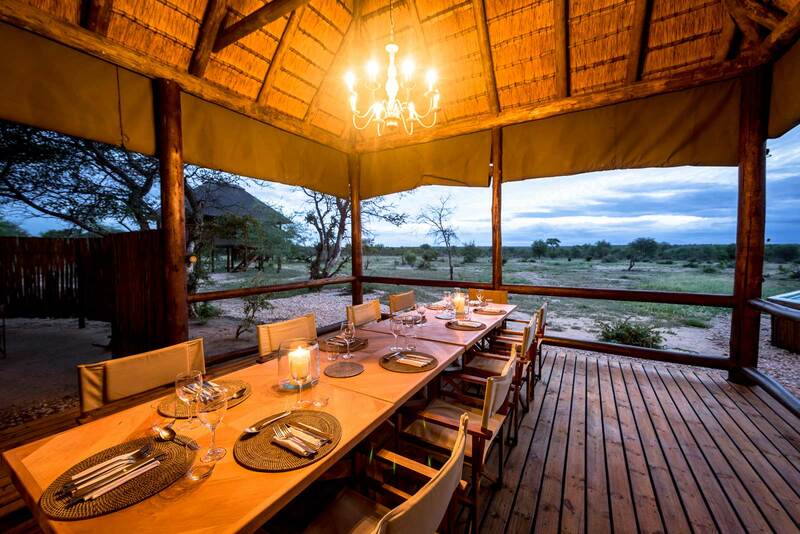 Simbavati Hilltop Lodge offers Big 5 game activities in the early morning and late afternoon/evening, taking advantage of the time of day that the animals are naturally most active. 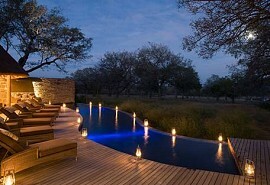 Nocturnal creatures, including the big cats, are regularly sighted at night. 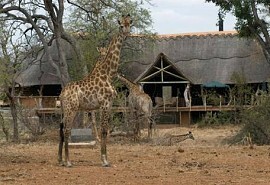 Game drives and bush activities include tea and coffee stops in the morning and a bush sundowner break in the evening. 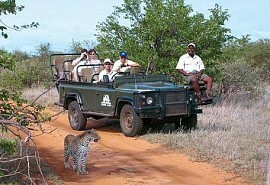 Game drives are conducted in open 4x4 safari vehicles with experienced and knowledgable guides and trackers. 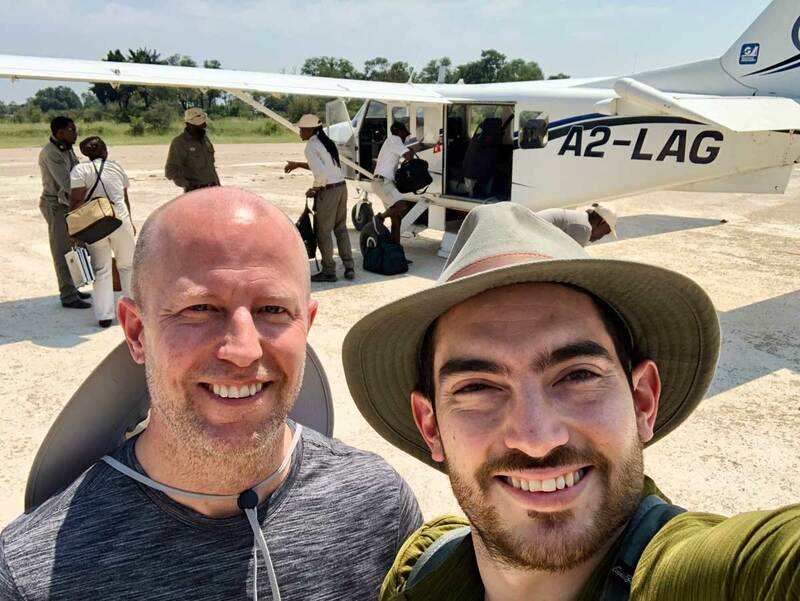 This team will scout out the Big 5, wildlife and birdlife that frequent Timbavati. Keen photographers can join a photographic safari, in specifically designed vehicles equipped for maximum photographic opportunities.